The recent expansion of large-scale international biennials and group exhibitions has significantly transformed the contemporary art world. Alongside the most significant biennials, such as Documenta, Manifesta and the Venice Biennale, now exhibitions in Berlin, Gwangju, Istanbul, Liverpool, Lyon, Prague, São Paulo and Sydney are also capable of mobilizing and convening the art world: artists, curators, critics, gallery owners, collectors, art directors, art historians as well as the broader public. These events are unique opportunities for presentation, that’s why we believe it is particularly important to ensure Hungarian participation. For this reason, through our Check-in Budapest program, we invite curators to Hungary, so that they get introduced to local artists. As the Hungarian partner of these international biennials, we are responsible for the preparation, co-ordination, professional and financial support of the Hungarian participation and play an active role in the production of new artworks. 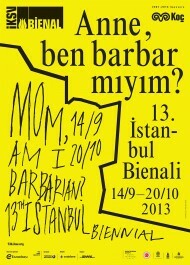 The 13th Istanbul Biennial – Mom, Am I Barbarian? ACAX | Agency for Contemporary Art Exchange is glad to announce that – as in previous years – the 13th Istanbul Biennial again has Hungarian participant. Among others the works of Adam Kokesch are on display between the 14th of September – 20th of October 2013 at the central venue of the Biennial. Hungarian presence at the dOCUMENTA, the most prestigious international exhibition series, has never been as pervasive and strong as 2012 in its more than fifty-year history. Three Hungarian artists – Tamás St.Turba, Attila Csörgő, and István Csákány – were invited to participate at the exhibition and Lívia Páldi, an art historian and curator, presented her own project. ACAX is the the only official Hungarian partner organization of dOCUMENTA (13). ACAX | Agency for Contemporary Art Exchange is glad to announce that Hungarian artist Lilla Szász will participate in the PHotoEspaña 2012. Szász will present her photo series in the frame of the exhibition Here we are together with Richard Avedon, Richard Billingham and Paz Errázuriz. 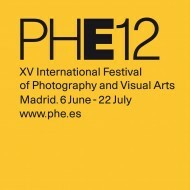 PHotoEspaña 2012 ended, having received 640,000 visits. The Audience Award went to Here we are, exhibition included works of Lilla Szasz. ACAX | Agency for Contemporary Art Exchange is glad to announce that – just as two years ago – two Hungarian participants have been invited to the 12th Istanbul Biennial. 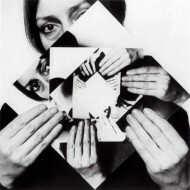 Among others the works of Dóra Maurer and Tamás Kaszás – Anikó Loránt are on display between 17 September – 13 November 2011 at the venue of the Biennial. The curators of the Biennial, Jens Hoffmann and Adriano Pedrosa were invited to Budapest for a curatorial research trip in the frame of ACAX’s Check-in Budapest curatorial visitor program in January 2010. Following their visit, they invited the artists to participate in the Biennial. The Hungarian contribution is supported by ACAX, department of Ludwig Museum – Museum of Contemporary Art, Budapest. 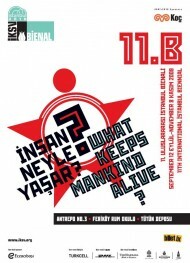 The 1st Ural Industrial Biennial creates a space for an unprecedentedly grandiose interaction between contemporary art and industry becoming an indispensable source of ideas that would allow the local communities to engage in a global dialogue on the development of post-industrial civilization. The biennial will take place in the Ural Workers Printing Press (main project) and in four large industrial plants (special projects) in the city of Ekaterinburg. The Ural Industrial Biennial is initiated and developed by the director of the National Center for Contemporary Art, Ekaterinburg branch, Alisa Prudnikova. 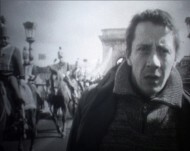 Three films from the Balázs Béla Stúdió Archive - Unveiling from Györgyi Szalai and László Vitézy, Fascination from István Bácskai Lauró and Archaic Torso from Péter Dobai - will be on display at the 1st Ural Industrial Biennial. The Hungarian contribution is supported by ACAX | Ludwig Museum.